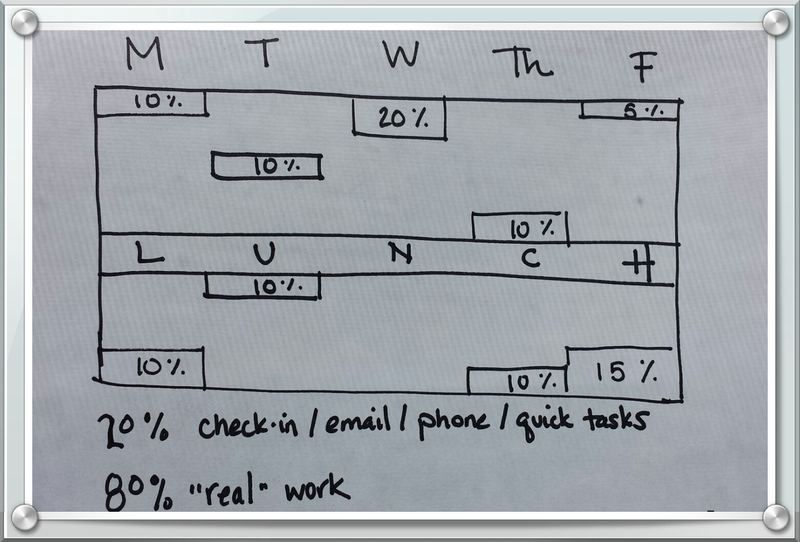 As the typical work week continues to expand, you probably have more things to do than you can possibly keep track of. Stressed. Frazzled. Overwhelmed. We’ve got it covered. Last week I heard someone say they wanted to take a time-management class but they didn’t have time because they were so overwhelmed. Not funny. Short of overhauling our national policies and changing the culture of your workplace or home tomorrow, what can you do to bring some sanity to your week? Arugh, how did I get another 200 new emails? Voicemail light flashing. Yikes, I almost forgot to set up that meeting and I have a report due tomorrow. Performance reviews? Again? Didn’t we just do those. And that problem from last week is back again, why don’t those people know how to get it right. Maybe I’ll get started on that memo, oops! Time for a staff meeting already? That’s the “I’m so busy” trap. For most of us, we don’t even realize we’re falling into it, after all, aren’t the busy, overwhelmed and frazzled the important ones? But this trap saps your power. Here’s a way to jump-start your thinking about your power, where it goes, and how to use it for maximum effect this week. Most of the things buzzing around our mental to-do list can be broken into 80% low-impact and 20% high-impact. Low impact: answering a simple email, reviewing a web-page for accuracy, filing your inbox, running an errand, responding to a meeting invitation, setting up a meeting. High impact: taking that time-management course, thinking through a long-term project by breaking out the pieces and identifying resources for each of them, writing a critical report in time for others to review it well. Usually, the attention we give to the 80% is a buzz of distraction, gnawing at our focus and leaving us feeilng like we don’t have enough time. The 20% is what we squeeze in, or where we take shortcuts because we haven’t left ourselves enough room to complete them well. Who hasn’t dashed off something important at the last minute, promising themselves I’ll do better next time? It’s time to power up and make the 80/20 shift – clear your calendar for next week, leaving only the most essential things. Part one. Get a paper and pencil (or whatever note-taking tools suit you) and set your timer for 5 minutes. Devote 20% of your attention to them this week. 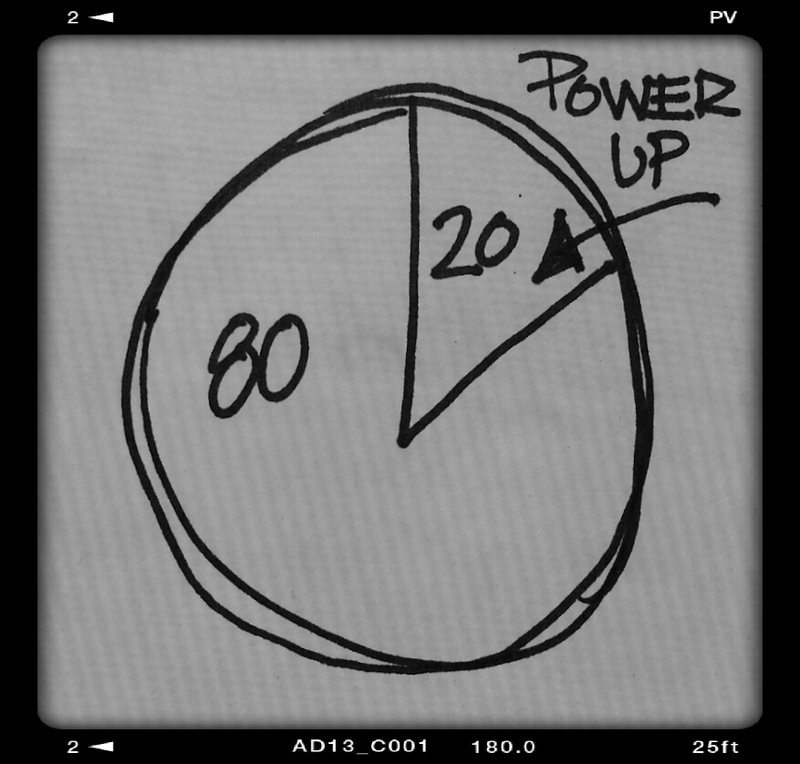 Try applying the 80/20 power rule for just one week and see if power changes. And don’t forget to take lunch. ← Overwhelmed by Something Big? Try this. What should you have delegated today?